Trinity Mirror titles Liverpool Echo and Gazette Live are introducing premium football content for fans of Liverpool FC and Middlesbrough FC. The monthly subscription services - called Anfield Extra and Gazette Boro Premium respectively - will provide new and exclusive content for fans, completely ad-free. The publisher said that subscribers will get "extra in depth analysis, additional comment, guides and opinion from well known names", as well as additional podcasts and video. The new products will have no impact on the content already provided for free on our sites. A monthly subscription for Anfield Extra is £4.99 and for Gazette Boro Premium is £3.99. Alastair Machray, editor of the Liverpool Echo, said: "This is a hugely exciting development for us and hopefully for LFC diehards. The key for us is to ensure it is fresh, new, premium content. We have no intention of charging for anything we already offer our huge online audience." 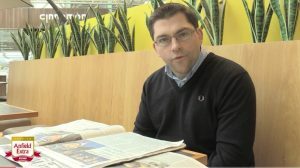 Chris Styles, editor of The Gazette and Gazette Live, added: "We are taking the comprehensive coverage we already provide a stage further and our new service will give fans the inside track on what is going on at the club and extra daily exclusive content for a monthly price of a couple of pre-match drinks."